For some reason unknown, my mind pulls up this episode and links it to the day I became an American. I was sworn in on Friday, Dec 14, 2013. The day started out with a present from the cat. 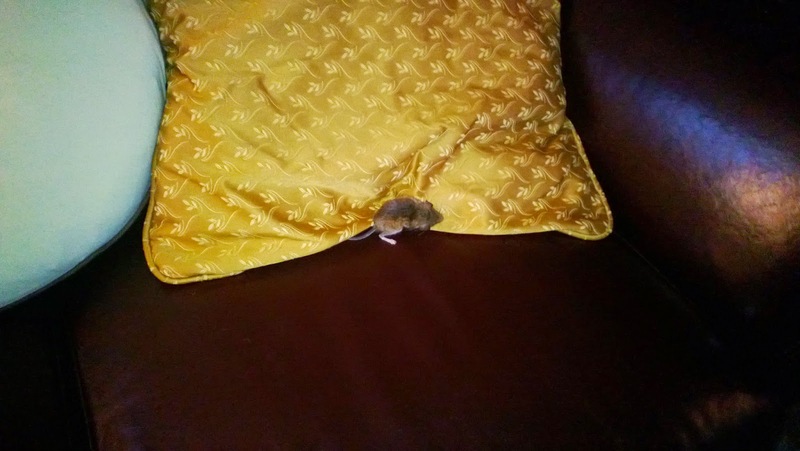 It was a dead mouse on the couch, nestled against the pillow with a cover tailored by my father in law. I wasn't sure it was dead at first. There were no signs trauma or blood. It looked like it was asleep and a triumphant furry cat was nowhere to be found. I blew on it to confirm it was dead. I called my husband with a pounding heart to tell him what I had found. He was relieved it wasn't a "real" emergency. The first thing he said was not to let the baby touch it. Lucky for the baby he was upstairs in his crib while I was running around the house getting ready. My goal was to leave by 9:30 am since my appointment notice was for 11 am. I took the pillow (no I didn't burn it) and threw it down the basement stairs. Then I took a dust pan to relocate the already hardened carcass into the trash. I wiped the leather couch down with a Clorox wipe. I would have dipped it in bleach if I could. Courtesy of my phone, like I could forget it..
We were on the road by 9:30 as planned. I was meeting a couple of girlfriends since my husband did not have time vacation time to take off. He had used it all when the baby was born in January. I had invited friends to join me during the ceremony. I was lucky that I have a girlfriend (former polymer scientist, now turned cubicle bunny) that works in the city. I also have another girlfriend (former GMP scientist, now turned massage therapist) that didn't have clients that day. Lucky for me and the massage therapist, there was a major accident and we were both sitting in our cars, in different parts of the highway, in traffic. After 27 years of waiting, I was going to miss being sworn in because of traffic. I did actually get to the USCIS (United States Citizenship and Immigration Services) building in the heart of the city around 11-ish. I put the baby in the stroller and got a parking pass. I didn't actually put the pass on the dashboard so I also got a ticket from the city. USCIS is smart because an 11 am notice actually just means folks were just lining up outside the building for the appointment. I had never been so relieved to be on a line. It was like standing in line for a fresh bagel. We all had to go through security, show ID and our appointment notices before entering the building. My cubicle bunny friend was already inside waiting for me. There was a Hispanic family behind me. A mother asked if I knew how to tie a tie for her young son. I did this while my own son had worked off his socks and shoes. Lucky for all of us, it was not a cold December day. Our event happened on the second floor in a room set up like an auditorium. My friends sat in the back of the room while those of us being sworn in sat in the front of the room. I sat next to a woman from Colombia. We took a picture together like we were friends. I don't even know her name like I didn't know the name of the boy whose tie I tied. Regardless, we were all family that day. Prior to the start of the ceremony they gave us an American flag and had us turn in our Permanent Resident or “green cards”. We also verified that the information on our naturalization certificates was accurate. We waited a bit for the speaker to arrive. The Colombian and I sat for a while chatting. They had us watch a video. It was about how immigrants built the country and with our citizenship came responsibilities. Then as a segway into the ceremony, they called out the countries we were from and each of us stood as they said our country of origin. Afterwards we took our oath of allegiance. The Colombian’s family took pictures of us with our hands raised. It was moving and I tried with all my heart to keep my emotions to myself. The Colombian next to me said that I should not because it really was a special day. Thankfully, I didn't cry. The speaker then started to call our names like a commencement ceremony. I guess it was kind of a graduation into the next phase of our lives. As they handed out the packet, each person got the opportunity to pose with the speaker under the Homeland Security seal. My packet contained some documents on voting, a copy of the oath, a letter from the President, a book with historical facts about the United States and most importantly my certificate of Naturalization. I was grateful it did not have my weight like my father in law’s certificate. He weighed 100 pounds at the time of is naturalization. My son did great with my friends. They took pictures with their smart phones. He looked dazed. My friends had the biggest smiles on their faces. I was grateful they could be with me and the baby for as long as the ceremony took! Afterwards, my friends returned to their lives. The cubicle bunny was actually on her lunch break! We didn't have any celebratory chocolate cakes or drinks. I was happy to go back home and have my son go down for a nap. When I returned home, the TV networks were broadcasting an emergency. I had missed about 5 hours of news. I think I was expecting to watch The Talk or Ellen. Instead it was mass trauma since the shooting of Sandy Hook had happened during the time I spent in the city. It had just happened so the TV networks didn't even get the name of the shooter right. It was an awful ending to the day. A great thing happened in the life of my family and not too far away, something awful was happening in the lives of other families. I am in no way saying one was related to the other. However, like that episode of Charmed, the way the world maintains balance is so stark and apparent sometimes. I can't believe I am making this comparison. People get sworn in to be Americans every day. It might not even be that rare. I saw a group get sworn in during the Today show. Janet Napolitano did the ceremony and some famous singer sang God Bless America. I guess it is all relative. My distinguished professor once said that paper is really important. Someone like Frederick Douglass wrote himself into existence. Other than being an actual flesh and blood person, he might not have existed otherwise. The same is true for the 11 million undocumented immigrants currently living in the U.S. Most of them pay taxes as my family and I have, but in terms of school loans, jobs, government benefits, they do not exist and are, of course, ineligible for those benefits. Becoming a legal resident (a human being) in the eyes of the government and eventually an American was a re-birth. Aside from the legal ramifications of existing on paper, there is a profound psychological impact of not being documented. In my case (and perhaps many others), my confidence and self perception suffered. Maybe some of us are more susceptible to melancholy than others. I was certainly vulnerable to it and have a paper trail of anxiety and depression. I have been bullied and I have been self destructive. If in the eyes of the law I wasn't there to begin with so it was easy to adopt it as reality. Obtaining my citizenship was an end to my years in the dark. I wasn't just handed a piece of paper. It was validation that I was a human being that I had never had before. 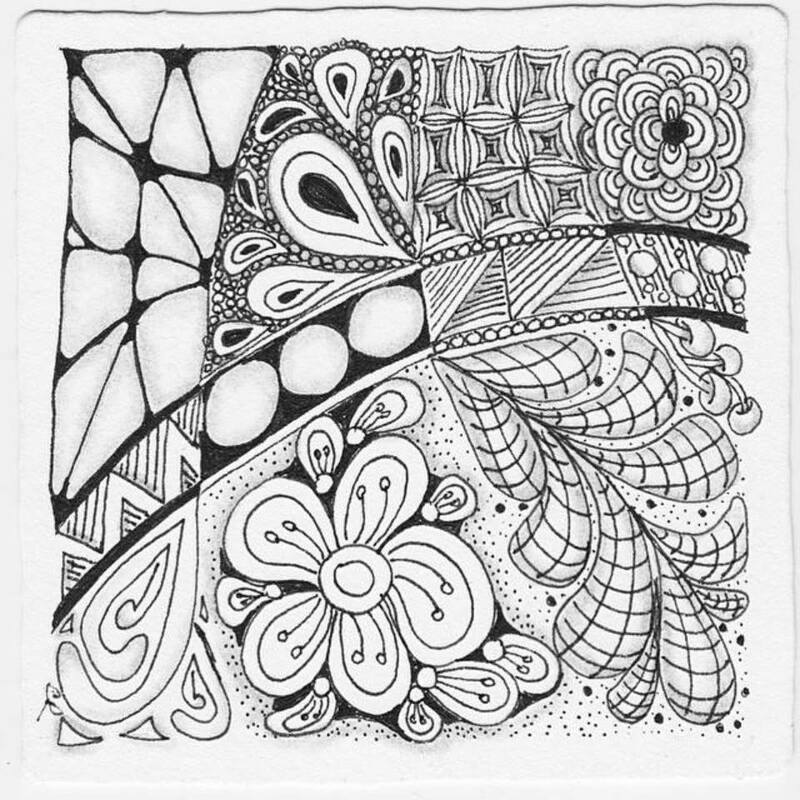 It was a new life, even if it was just a seed inside of me that could grow in ways previously not possible. The enormity of it can only be contrasted with the "great evil" that occurred in return.